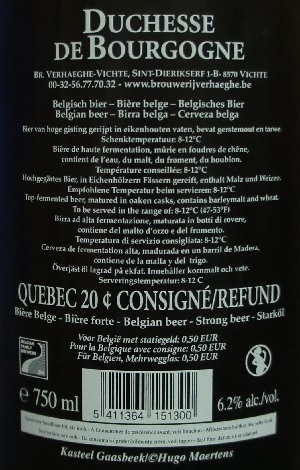 Brewer Description: (from website) “Duchesse de Bourgogne” is an ale of mixed fermentation. It is a sweet-fruity ale with a pleasant fresh aftertaste. This ale is brewed with roasted malts and with hops with a low bitterness. After the main fermentation and the lagering, the “Duchesse de Bourgogne” matures further for many months in oak casks. 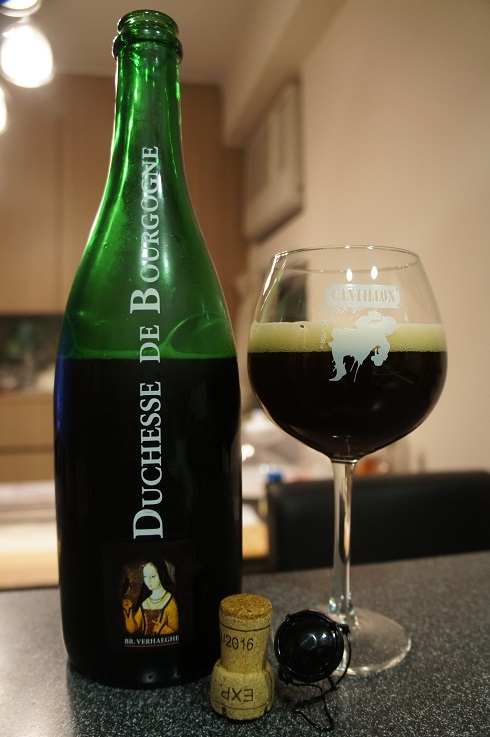 The tannins in the oak give the “Duchesse de Bourgogne” its fruity character. 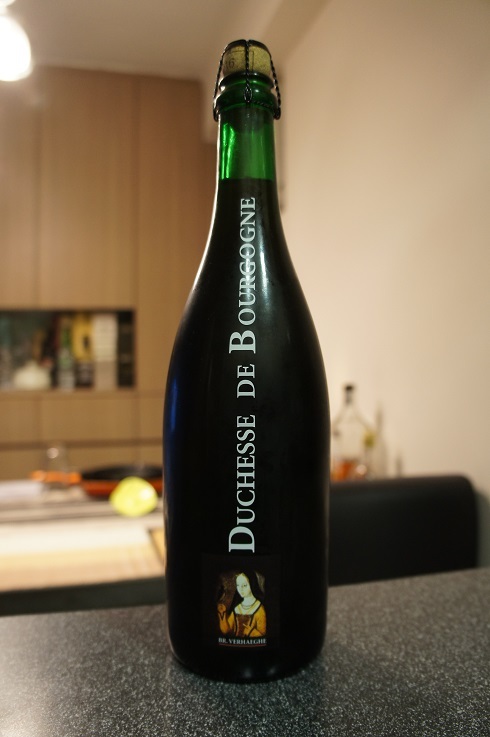 “Duchesse de Bourgogne” has a full, sweet and fresh taste: it is a ruby red jewel of 6.2 % alc. 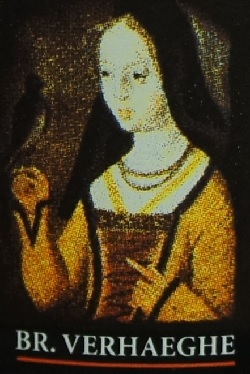 vol., that best is served in a chalice-shaped glass between 8 and 12°C. A perfect beer. Intro: A 750ml corked and caged bottle with an expiry date of December 2016, poured into a Cantillon ballon glass. Appearance: It poured a clear reddish brown colour with a red hue and a one finger khaki head that has decent retention and leaves lots of nice lacing. Aroma: Sour, tart, cherry, red wine, oak and sweet vinegar. Taste: Sweet and sour but leaning a bit more towards sweet. Cherry, grape, cranberry and oak with a hint of balsamic vinegar. Mouthfeel: Light to medium bodied with moderate prickly carbonation. Overall: I am a huge fan of sour beers and this was a little on the sweet side for me. However, it was a still a good beer and easy to drink.